Excavators are less heavy than crawler cranes, needing a less stable work platform. Excavators can be faster mobilized. On site assembly is minimal. The space on some sites is very limited. Excavators require less space. 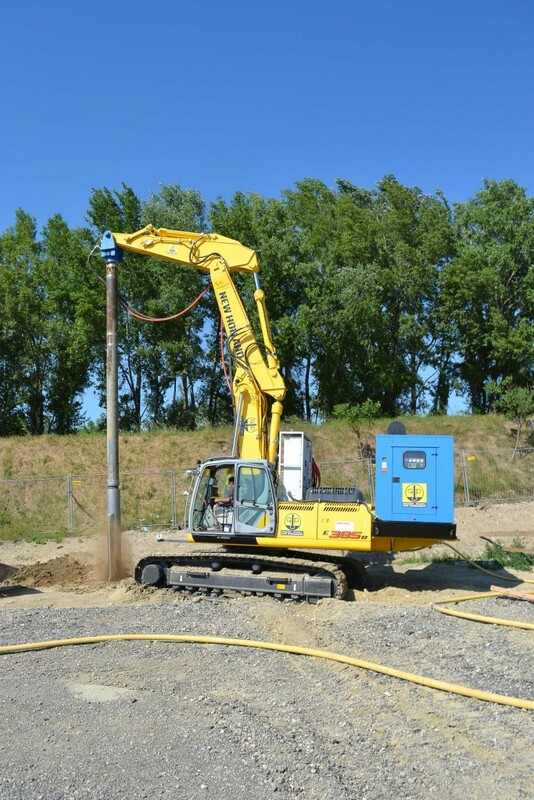 The excavator can push the vibroflot down to achieve faster penetration. These advantages make the excavator the preferred carrier rig for many projects. 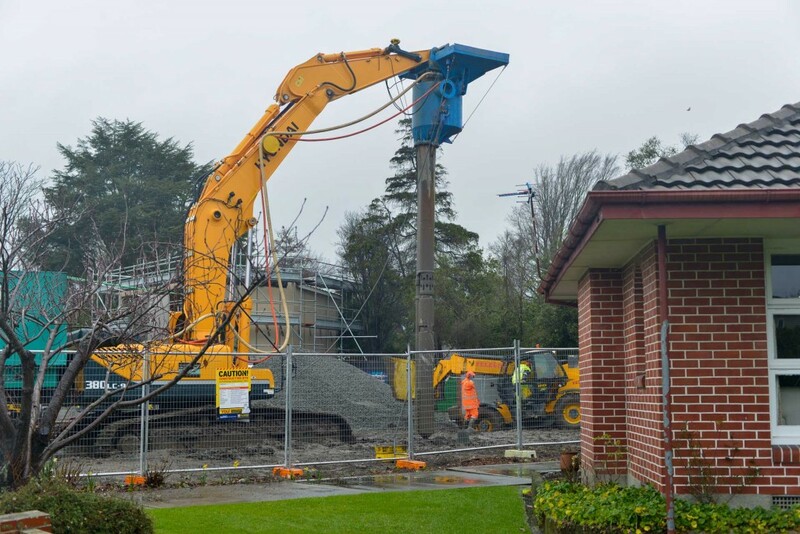 The maximum depth that can be reached using a 40 ton excavator is for bottom feed stone columns around 8 m and for top feed stone columns 10 m.
The following shows a BE1 Bottom Feed stone column rig operating with a B27 vibroflot in Christchurch, New Zealand. It is a site where after an earthquake the soil has to be strengthened before a new house is built at this location. Nearby existing structures made the very space constrained site ideal for the use of the BE1 (also called “Vibro Stitcher”). 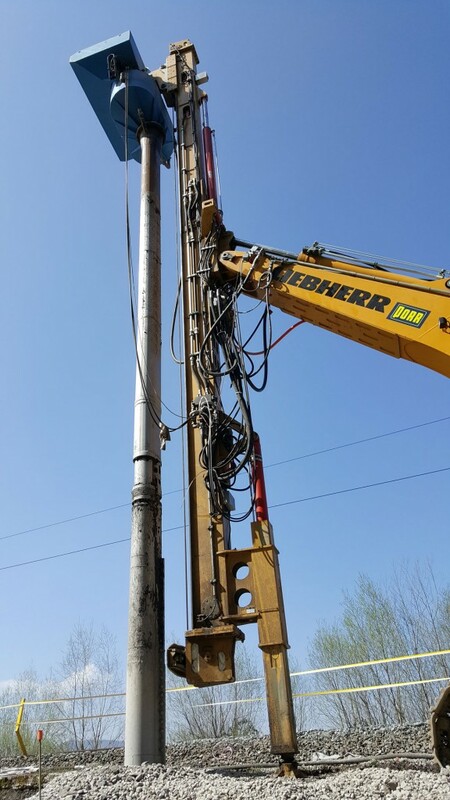 The BL3 rig consists of a standard excavator to which Betterground products (BL3 mast, B27 vibroflot, and BL3 penetration unit consisting of silo tubes, receiver tank and receiver hopper) are attached. The BL3 can be fitted to the same type approx. 35 to to 40 to excavator as the BE1. While the BE1 allows stone column depth to reach max. 8 m, for the BL3 the maximum practical depth presently is seen at around 13 m. This additional depth is reached thanks to the Betterground built attachable leader BL3. This leader is designed and built by Betterground. It has pull-down capacity, which from time to time proves very helpful when locally sticky clay soils have to be penetrated. The BL3, if used in combination with the Betterground built attachable leader, is also listed under Drill Rig based attachments . 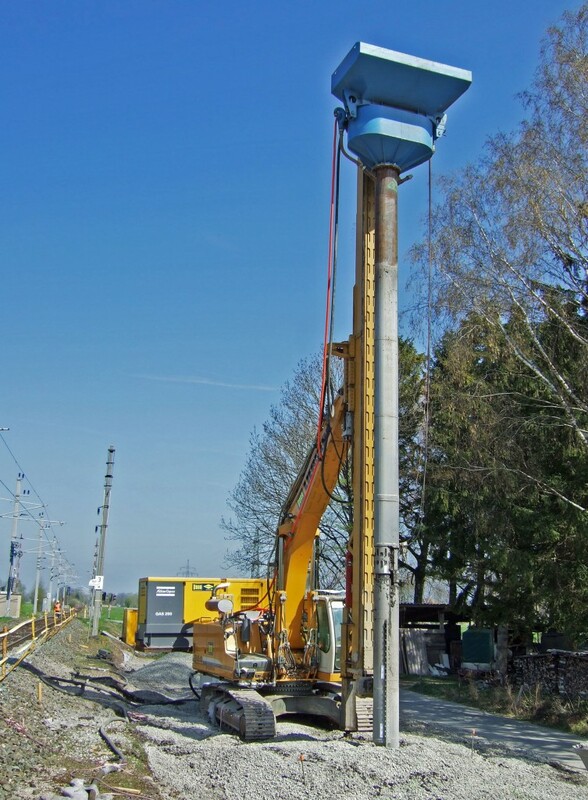 In the below photo the BL3 mast with the BL3 rig and a B27 vibroflot work near active railroad tracks in Austria. momentum on a cantilever arm. Gravel is fed to the BL3 with a telescopic loader and a custom 1.5 m3 shovel with trap door opening for better material placement. The TE1 is used when Bottom Feed is not required. 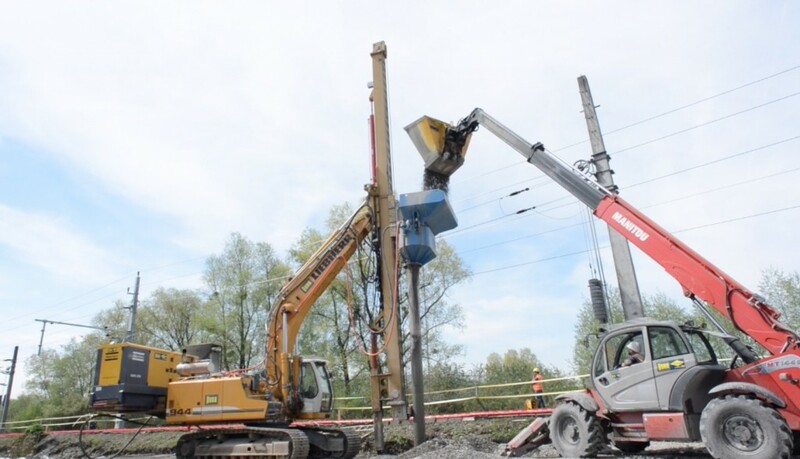 Using the TE1 attachment, both Vibro Compaction and Top Feed Stone Columns can be installed.